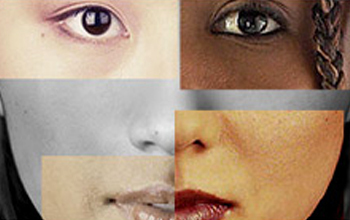 US NSF - Now Showing: RACE--Are We So Different? "RACE--Are We So Different?" is a traveling exhibition that explores the science, history and lived experience of race and racism in the United States. By using interactive exhibit components, historical artifacts, iconic objects, compelling photographs and multimedia presentations, RACE challenges some common assumptions through its key messages -- that race is a recent human invention; that race is about culture, not biology; and that race and racism are embedded in our institutions and everyday life. "RACE: Are We So Different?" is part of a larger public education program initiated by the American Anthropological Association (AAA). The exhibition was developed with the Science Museum of Minnesota over more than three years, with major funding from the National Science Foundation, and additional support from the Ford Foundation and AAA. The program includes the 5,000-square-foot RACE exhibition, an interactive Web site and educational materials. For a complete listing of exhibition tour dates, please visit the exhibition Web site at http://www.understandingRACE.org/about/tour.html. The interactive Web site tied to the exhibit is comprehensive, engaging and educational. Developed with S2N Media, Inc., in Warwick, N.Y., the site received the Interactive Media 2007 Award for Outstanding Achievement in Education. Educators are finding the RACE Web site an excellent resource -- Education World gave the Web site an A+ for content and site design. The site features a variety of voices and perspectives and includes articles, guides for teachers and parents, a timeline covering 400 years of events in government, science and society, and test-your-knowledge quizzes on such subjects as sports and stereotypes and the question, "Who is white?" Of particular interest, the Web site examines the science of human variation, from genetics to skin color to the latest findings that may challenge how people think about race and differences among people. For visitors wanting to continue the discussions, the site features a blog.